Reading this book so soon after One Amazing Thing by Chitra Banerjee Divakaruni, I felt mildly let down because it used the same story-telling device. A group of strangers share interesting, intimate stories from their own lives. It is a good device – but two in a row meant a little less enjoyment for me. 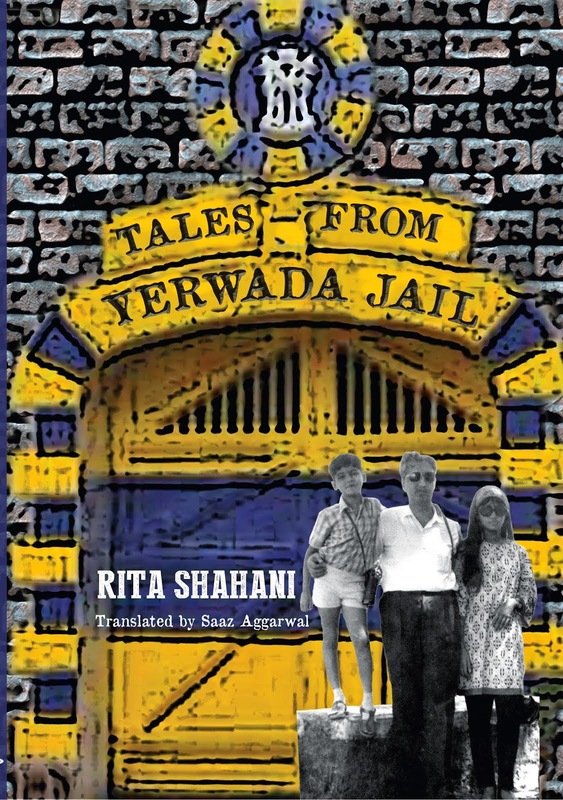 Comparing the two, I felt that while Chitra may well be a more experienced and sophisticated storyteller, and an internationally famous author besides, there’s no doubt in my mind that Gouri’s novel is not only just as well written, but has a lot more depth and relevance too. Six of the 80 guests at a wedding, strangers to each other, find themselves sitting together outside the general range of festivities. Each one looks around and forms private notions about the others based on external clues. There is an underlying assumption that their composed, contented facades contain only calm within. While the external clues are certainly valid, and the one with the military air does turn out to be an armed-forces man, the one who looks like a professor is indeed an intellectual, and so on – the truth reflects a universal reality that each person, no matter how bland and peaceful their appearance, carries a unique and painful story. These six represent an interesting range of contemporary Indian lives. 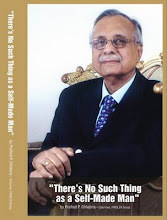 Their stories explore the existing trends in topics such as romance among the elderly, the stereotypical lifestyles of Indians permanently resident in the US, the world of Bollywood successes, rural education in India, the downside of academic pressure coupled with obsessively “cool” parenting, and many more. Gouri Dange is good at getting beyond pretence and perceiving situations with a relaxed but penetrating eye that spots their subterfuge and hypocrisy. I also liked the way the language of each story is adapted to suit its speaker. Best of all was some lovely poetry which I nearly reproduced here, with permission – until it struck me that the reader would enjoy it more in the context in which it was presented. 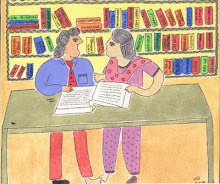 As it turns out, these strangers provide each other not just a non-judgemental repository for their outpourings but also simple and effective advice, and this surely reflects Gouri’s own professional skill and experiences. A counsellor herself, she doubtless treads the cutting edge of human suffering, constantly engaging with new manifestations spurred on by increasing urbanization and technological development, and some of that is beautifully expressed here. For me this is the best kind of book – a good story, well told, and one strewn with subtle messages about life and learning that can only enrich you. I enjoyed this book and found it very well written. It’s light and moves fast but it’s not a superficial book. Most of the others at the WIN book discussion I attended this morning felt the same, and also that its characters are defined with the sensitivity and detail that brings them alive in the reader's mind. 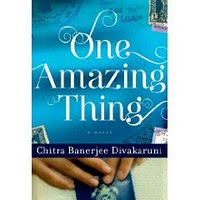 Chitra Banerjee Divakaruni is a skilled storyteller. Her main theme here is the power that stories have to heal people. A group of people waiting for visa interviews in the basement of an Indian consulate in the US is trapped when an earthquake strikes and the building collapses. This group has been well chosen and its members showcase the different ways in which India and the US are connected; they represent different parts of India, and even show us several different reasons for which people might want to visit India. Using her special creator’s privilege, Chitra Banerjee Divakaruni makes sure that one of these has experience rescuing earthquake victims. Another, an Indian-American woman, is a student of literature and understands the power of the story. She suggests that they each tell of something special from their own lives. They do so, and this proves to be a powerful method of keeping them calm. It also works to change perceptions, and perhaps also to improve relationships, among the group. Would any random group of people in the world come out with personal stories as filled with drama and emotion as these? Probably. Because while these stories are certainly special, I don’t think they do justice to the word “amazing”. And I was really happy that I enjoyed this book because the first time I tried to read one by this author I did not get a good impression. 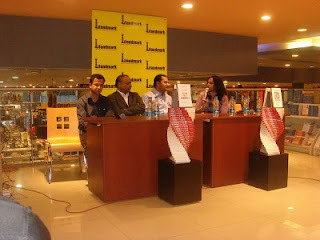 I felt that it was exoticizing India and contextualizing its situation to charm foreign readers. I found the language just too baroque for me. Even its title gave me the shivers. Then around two years ago I read Palace of Illusions and interviewed the author, and this changed my impression completely because I found that Chitra Banerjee Divakaruni is not some kind of wannabe who wants to charm stupid readers with the dictionary in her hand. I thought she was sweet, smart and anything but fake. Besides, I also learned that she is a serious academic with a PhD with any number of research papers and whatnot. The interview appeared in Sunday Mid-day on 17 August 2008 and I’ve pasted it below, along with a photo of Chitra’s family – her sons Anand and Abhay and her husband Murthy. 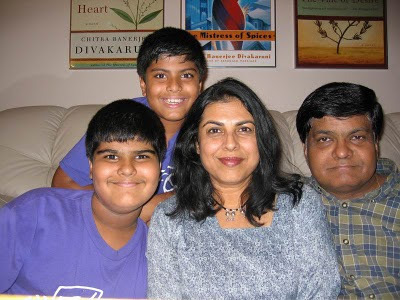 Chitralekha Banerji Divakaruni was born in Calcutta and immigrated to the U.S. in 1976 when she was 19. She earned a Master’s degree in English and then a PhD from the University of California at Berkeley. In 1991 she established Maitri, a helpline for South Asian women in abusive situations. 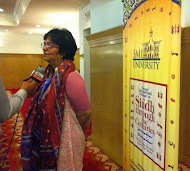 Her books are based both in the U.S. and in India, and invariably feature the lives and troubles of women. 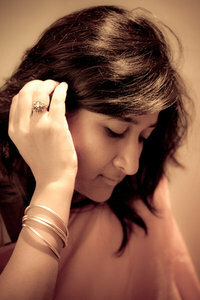 Much of her work is said to be based on her own experiences and those of other Indian immigrants. Her first novel Mistress of Spice was made into a movie (famously featuring Aishwarya Rai). Palace of Illusions, her new novel, is Draupadi’s story, a "re-imagining” of the Mahabharat. Chitra Divakaruni is one of those writers who evoke mixed reactions. While one bunch of reviewers will use phrases like magical, lyrical, vivid, and timeless, to describe her prose, there’s always another scruffy, embittered lot who will snigger and stop just short of rude adjectives like preening and pretentious. Regardless, her books sell extremely well. Of all the characters in the Mahabharata you could have picked, why Draupadi? I have always been most interested in Draupadi, who seems more complex and interesting to me than any of the others. She also seems most timeless and modern because she has strong opinions, is assertive, and does not put up with abuse. Please tell us something about your own introduction to the Mahabharata. My grandfather told me stories from the Mahabharata when I was little. I was fascinated from then on. Later I read children’s versions and still later the Bengali version by Kashiram Das. What I like best about your Mahabharata is the circumstantial detail and lifelike characters. I’ve always felt that for those of us who read our Mahabharata in books, what we encountered was a mere listing of facts and events which gave them all the appeal of textbooks. Were any of the children’s versions you read any better? They were not really that evocative, but the stories were already imprinted in my imagination by my grandfather, so when I read them again, the mind-pictures were already powerfully in place. A I thought more about them as an adult, the characters grew deeper and more psychologically complex. From what sources did you draw to fill your story with so much colour and emotion? Many, both primary and secondary. The primary sources: Kamala Subramaniam, C. Rajagopalachari, Kashiram Das. Secondary: critical studies by people like Irawati Karve and Pradip Bhattacharya. Also novels and poems by Tagore, Pratibha Ray, Shivaji Sawant and others. Ultimately I relied most on my own imagination. I studied several books and articles about lifestyle in ancient India. How do you divide your time between India and your home in Houston? I visit India every year or two. As a writer, India and Indian culture are important to my work so it is important for me to stay close to my roots. I wish I could spend more time in India because the country is going through such rapid changes right now and I would love to write about that. My family (husband and children) and my job (teaching at the University of Houston) are in Houston so that’s where I live most of the time. What differences do you see between your Indian readers (both fans and critics) and the international ones? I think Indian readers enjoy my books because they are familiar with the context and see the authenticity of the details. They experience the pleasure of recognition. The international ones experience the pleasure of discovering a new setting, culture and different kinds of thinking patterns. You haven’t mentioned your critics: Indian critics tend to feel that you exoticize and contextualize our culture. I’d really like to know your reaction to this interpretation. What about critics of your work in other countries? 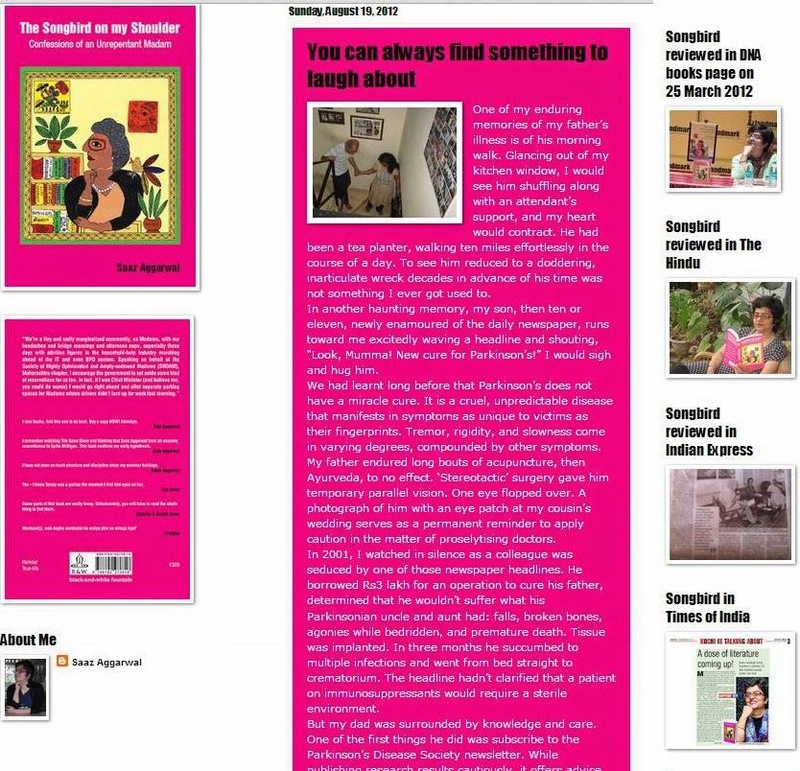 I feel Indian critics who feel that I exoticize have not understood my project. I have always been fascinated by the magical and timeless part of Indian culture - which led, this time, to researching and writing The Palace of Illusion. That same impulse led me to weave folk tales, myths and fairytales of Bengal (Roop Katha) into novels such as Mistress of Spices and Sister of my Heart - in very different ways. This magical/mystical quality, I feel, is a central, true and unique aspect of India (although obviously not the only aspect). As a writer and a person, I am drawn to exploring it over and over. I like to juxtapose the mystical and mysterious with mundane events and settings - thus the spice shop in Mistress of Spices is set in the midst of crime-ridden inner city Oakland, and the ancient fairy tale of the princess in the palace of snakes affects the lives of two young girls in the Kolkata of the 70s. Critics from other countries have been largely positive about my work, but sometimes they complain about the lushness of the language (a Bengali influence?) or a convoluted plot line, with several intersecting stories (maybe also an Indian way of storytelling?) or too much focus on the domestic space rather than larger political events. But that is something I choose to do because I feel the domestic space is crucial to women's experience. Sometimes people complain about the difficult names of characters! I have tended to avoid reading your books because they make me bristle with the feeling, “this is not being written for me! It’s being written for someone who thinks and feels like an American.” I picked up Palace of Illusions reluctantly and was delighted to be drawn in immediately. I did feel it was written for me. You have not given a single justification for the story sub-texts that we in this country take for granted but which others would find strange and unreal. For example, the fact that penance will bring all kinds of gifts including strange and wonderful powers; the ability to lay a curse on another with the full confidence that what you say will come to pass, that when you share your pillow with someone you can glimpse into their dreams, that those dreams are often what actually happened. Few grounded in western culture would be able to relax and enjoy such ideas in their fiction. Could you please tell us how this happened? I don't think I consciously tried to do anything different. Whenever I write a book, I try not to think of audience but only of the world of the story. I try to immerse myself in that world. I feel a well-written book will draw in its readers no matter where they come from - and I am very grateful that my books have large audiences in places as different as Brazil, Indonesia, Russia, Italy, Japan and Israel. The world of the Mahabharata is particularly powerful and engrossing, and so is Draupadi's character. I tried to put myself in her mind as fully as possible, and this is the result. 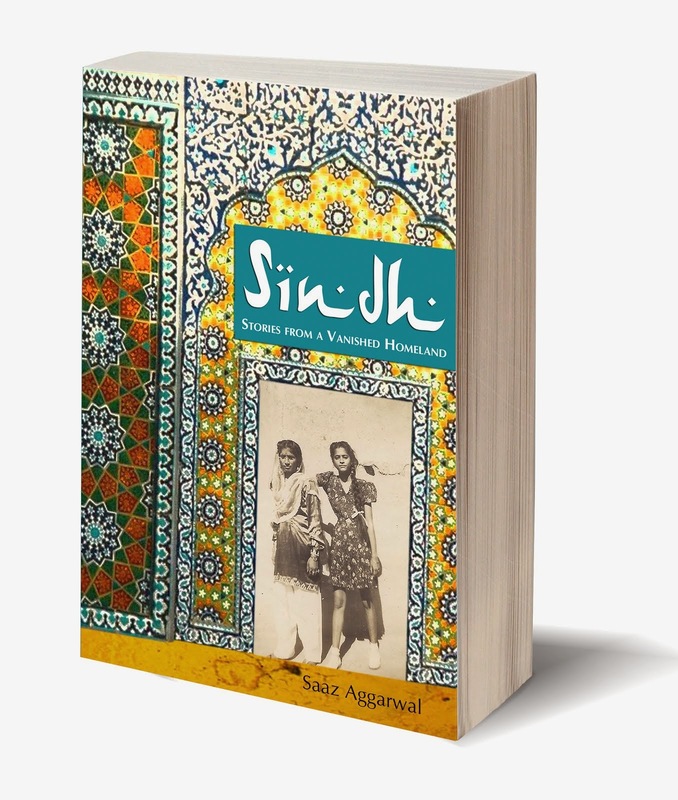 Perhaps surprisingly, audiences from different backgrounds are responding very positively to the book, and a number of western critics (the translations have not been published yet) have called it my best book so far. On another note, I believe literature (and art) should be inclusive rather than excluding - it should invite all readers in, no matter what their background. That is why great books continue to touch us across centuries and continents. The books I love most belong to this category, and I aspire to follow them. According to Wikipedia, you once said: "Badly and tentatively I began writing early poems. You think I'm being modest but I'm not. I destroyed those sentimental and bad poems recently so no archivist could find them." More about this endearing quote, please! 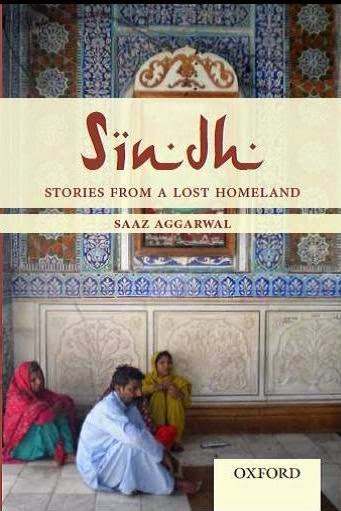 I started writing (pretty much just for myself) a couple of years after leaving India. Those early poems were full of homesickness and self pity - understandably so, but hardly material for good literature! And yes, I did destroy them once I realized how bad they were. I did learn an important lesson from them, though: emotion is not enough unless it is strengthened by craft. You are a serious academic, deeply grounded in research and teaching. Yet your books contain their share of Barbara Cartland moments. How come? I guess I'm a romantic too! You dedicate your books to “the three men in my life”. Please tell us something about them. Murthy is my wonderful, supportive husband of 29 years. Anand is my 16-year-old son; he has a great, wry sense of humour. We discuss literature a lot. He is reading Crime & Punishment right now. Abhay is my 14 year old, very creative. He started writing a novel when he was in 4th grade - and he insisted on doing it on my computer, because he was convinced that that was the "writing" computer in the house. (That novel is on hold right now because he is busy mastering Guitar Hero). They keep me down to earth by teasing me and making fun of me all the time. And I must also mention Juno, our stubby-tailed, bald-elbowed hybrid canine who we think is the best dog in the world. She is my muse & keeps me company when I work, no matter how late into the night. This book, published by Penguin, carries the slug “Metro Reads” which inspired in me the vision of harried commuters engrossing themselves in the story to transcend the discomfort of their awkward, jerking, squashed-up positions. But it also made me a little uneasy about becoming the victim of a crafty marketing ploy. Unlike many other books by Indian authors, however, this one is not trying to win an international literary award. It doesn’t want to impress you with how clever the author is. It is not a cathartic outpouring of personal experiences or any kind of attempt to preen. And though the author has a day job as a software engineer and studied at two big I.I.s, it’s not even about a publisher cleverly trying to create a new brand. Most stories have been told before. But there are some writers who invent their own, starting with the germ of an idea and taking pains to craft and weave the threads that emerge, carefully defining characters and consciously attending to loose ends. Paritosh Uttam is one of these. Reading this book, we learn a little about the world of art, the obsessive natures of those who believe they have a great gift, and even something about the reasons for which some wealthy people buy paintings. 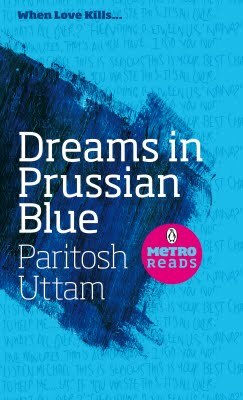 Dreams in Prussian Blue is progressively inclusive of blindness, while sensitively exploring some specific issues blind people face. And I found it interesting – and reflecting of Indian reality – that both its main male characters are self-centred and exploitative while the heroine is hardworking, capable and extremely generous – but inattentive to her own needs, and easily prone to guilt. Rashmi Bansal was in Pune last week to launch her new book. Rashmi and I had known each other in the early 1990s when I worked for The Times of India in Bombay and she was a freelancer. Then she went off to study at IIM (A) and when she came back, I had moved to Pune. When she started that wonderful humour magazine for young people JAM, she kindly sent me a free one-year subscription and my children and I became fans. Her first book Stay Hungry, Stay Foolish, a collection of the inspiring stories of 25 IIM (A) graduates who became entrepreneurs, was published early last year. Anand Agarwal of Aaj ka Anand had read and loved it and was busy buying and presenting copies to those around him and I was the lucky recipient of one. 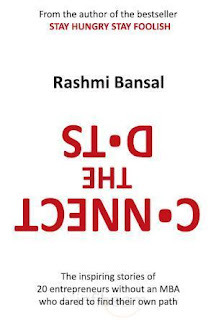 I reviewed the book for my column in Sunday Mid-day and was subsequently touched when I read Rashmi’s blog – you can read both review and blog here. Stay Hungry Stay Foolish sold more than 150,000 copies and continues to sell in large numbers each month, making it India’s No. 1 best seller (yes, Kama Sutra now rates at to No. 2). Connect the Dots is a collection of 20 inspiring stories of entrepreneurs without an MBA. 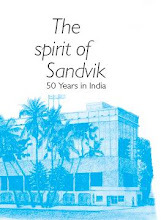 Like its predecessor, this book is also written in a casual and engaging style and incorporates a generous portion of Hindi words and phrases – sometimes whole paragraphs. Here too, each case starts with a summary followed by a short autobiography, and ends with practical advice to young entrepreneurs. The three sections in this book are aptly named: Jugaad, which profiles entrepreneurs without any formal training “who learnt by observation, experimentation and application of mind”, Junoon, where the entrepreneurs are driven by a particular idea or passion, and Zubaan, which profiles entrepreneurs in creative fields. Only two of the 20 are women. The entrepreneurs in this book come from different backgrounds. The companies featured also vary, from high-profile ones like Crossword, Su-kam and Tantra to offbeat ones that farm lettuce and make paper recycled from elephant dung. I felt that these stories had more of a personal touch and were more dramatic than in the first book. Rashmi and I finally met after nearly 20 years. The launch at Landmark was well attended, and she had arranged to have a panel discussion with three Pune entrepreneurs, including Hanmant Gaikwad who is featured in her book, and seen here in conversation with Rashmi at the launch. 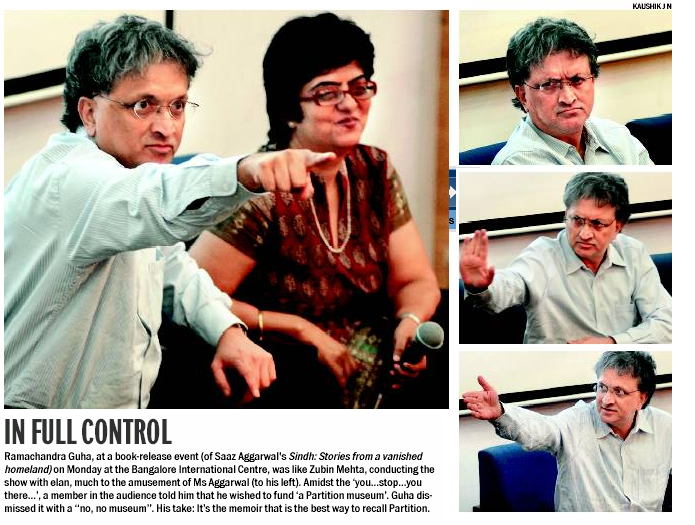 The discussion was a huge success, with a lot of interaction between audience and panelists. There were so many young, eager, professionals there and they got so involved in the discussion that I felt quite overcome with their passion and innocence, and their touching ambition to improve their lives, and it filled me with hope for this benighted country and its corrupt, self-serving leaders. I also feel that Rashmi, a completely unassuming person, who has based her life on simple ideas and common sense, fitting it to her own personal needs rather than adopting aspirations thrust on her by society, is a wonderful role model. In Namita Devidayal’s very successful first book The Music Room, she wrote about her music teacher and about her relationship with Indian music. 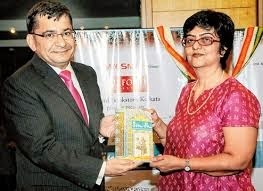 It was clear from the book that Namita is a talented writer who comfortably inhabits different worlds. In this work of fiction, different as it is from her first, she takes us into one of them. The Todarmals are a business family. They experience ups and downs in their business, and out-of-the-box thinking that gives it a lateral shift. Their lives and relationships revolve around money. Display of wealth with a view to impressing others, and a tendency to grab and hoard, are dominating characteristics. Relationships within the family are a delicate balance of power and control. There is no safe space in which feelings can be expressed. A mother may be focused on home and work, but her influence is so strong that her insecurities and ambitions seep into them unawares, destructive and emasculating. This story has many characters and a number of dramatic events. What struck me most, however, was the narrator’s style which, I felt, dominates the narrative. As you read, you can’t help noticing her lack of reverence for, and amusement at, this particular lifestyle where people take themselves and their diamonds (never quite large enough) so seriously. Then one day, as it happens when the going gets too good to be true, two big Sindhi borrowers, both in the real estate business, defaulted. One case ended in suicide, the other in jail. The business was over and the banks were at Phoolchand’s door. And they would soon be knocking on Daddyji’s doors. He was finished. His material existence was at stake. Above all, he felt like a failure, which was far worse than the actual loss of money. Daddyji has a diary in which he sometimes wrote down nuggets of wisdom. His father had once told him of the two rules of running a business successfully – regardless of whether one manufacture lead pipes or made mouth-watering sweets. First, your second-in-command must always be either from within the family or a close friend, buy only from the baniya business community. Only then can be understand your ways and be trusted with the cash. Second, loss in business is inevitable and must be borne with fortitude, even if it means having to completely start over. I enjoyed this book and was also interested to read Namita’s post on the Random House blog which gives context to her novel. How difficult was this book to write, compared to your last one? This book was completely different to write because, unlike 'The Music Room', it is very plot-driven. I actually don't like to compare books unless it is relevant. Both books have their own style and tone. I didn't think too much about. 'The Music Room' and just had fun writing this! Is this book inspired by people and events in your own family? Yes, this book is based loosely on a lot of people in my extended families and the bania community, but it is definitely not autobiographical. I think in the end I just used bits from here and there and then let my imagination run wild! I am currently channeling all my creative energies into a little home and writing retreat I am creating in Alibaag! After that, possibly a book on marriage, though I'm not yet sure what shape and form that will take, whether fiction or non-fiction.